DLNA launches new guidelines for streaming premium content | What Hi-Fi? The Digital Living Network Alliance (DLNA) has announced new 'interopability guidelines' to aid the delivery of high-quality, premium video content to supported devices. DLNA support allows devices such as TVs, Blu-ray players and games consoles, such as the PlayStation 3, to stream content from DLNA-enabled devices such as PCs and NAS drives, over your network. This latest certification aims to set a common method by which premium content can be delivered using DLNA devices. DLNA boasts more than 200 companies as members including LG, Panasonic, Samsung, Sharp and Sony, and US content providers such as Time Warner Cable. 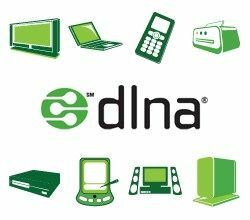 We're off to a briefing with DLNA later today to find out what these developments mean for consumers, and what DLNA has in store for 2011.